Its the labor day weekend and I am already thinking about Halloween! 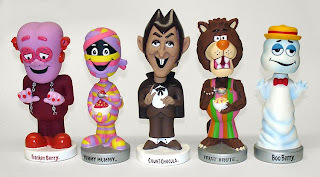 It seems everyone has a fond happy childhood memory associated with the General Mills Monster Cereals like Boo Berry, Count Chocula and Franken Berry. With nostalgia forever present, these characters have become pop culture icons and are presently loved and adored by millions! Its amazing to see all the merchandise associated with their likenesses floating around, I have seen T-shirts, posters, bobble head toys, magnets, etc. It all started back in the 1971 when General Mills released Count Chocula, whose original name was "Dr Count Chocula" and Franken berry in October of that year. Boo Berry was later released in 1973. Count Chocula had a chocolate flavoring and were colored brown, Boo Berry had a blue berry type flavoring and were colored blue, Franken Berry had a strawberry like flavoring and were colored reddish pink. "Shop Monsters Cereals at 2CoolGhouls"
Fruit Brute whose character was of a Werewolf that ate fruit, was released in 1974 had a tang orange coloring and fruit cherry type flavoring from what I can remember and had a ten year long run at grocery stores before being discontinued in 1984 and then later replaced in 1987 by orange flavored Fruity Yummy Mummy, whose character was also a Mummy that loved fruit cereal which in turn had a very short selling life as it was discontinued in 1993. Yummy Mummy had a cool slogan he would say makes your tummy go yummy, LOL I remember laughing at that. The other three being Boo Berry, Count Chocula and Franken Berry have survived and stayed in production throughout the 1990s if only now seasonally for Halloween since 2010. Frute Brute and Yummy Mummy were certainly the lesser known of the five monster cereal characters. I suppose they did not sell as well. Flash forward some 20 odd years later to 2013 General Mills has made the right decision to bring back Werewolf Frute Brute and Yummy Mummy for all things Halloween in 2013. Lots of excitement is abound particularly among generation Xers like myself who grew up in the 1980s that ate these for breakfast. With the return comes with updated box design and images for Frute Brute and Yummy Mummy as they have a new look and box drawings. 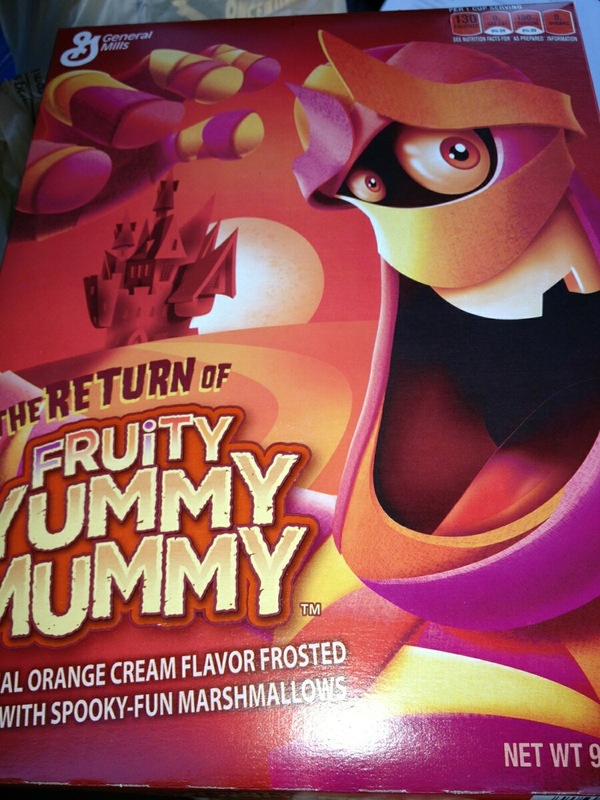 The back of the boxes features all five monsters Count Chocula, Boo Berry, Franken Berry, Frute Brute and Yummy Mummy all sitting down together eating a bowl of their own monster breakfast cereal. How cool is that? These cereals ( along with St Arnold's Pumpkinator) have been become a cool way for me to kick off my favorite time of the year Halloween, and revisit some happy childhood memories at the same time. 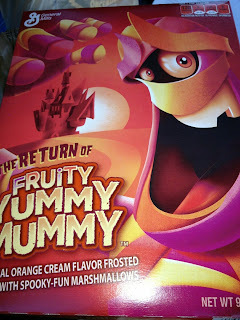 "Shop 2CoolGhouls for Halloween"
I recently had the chance to try the new Frute Brute and Yummy Mummy Monster Cereals that have been brought back for Halloween 2013. 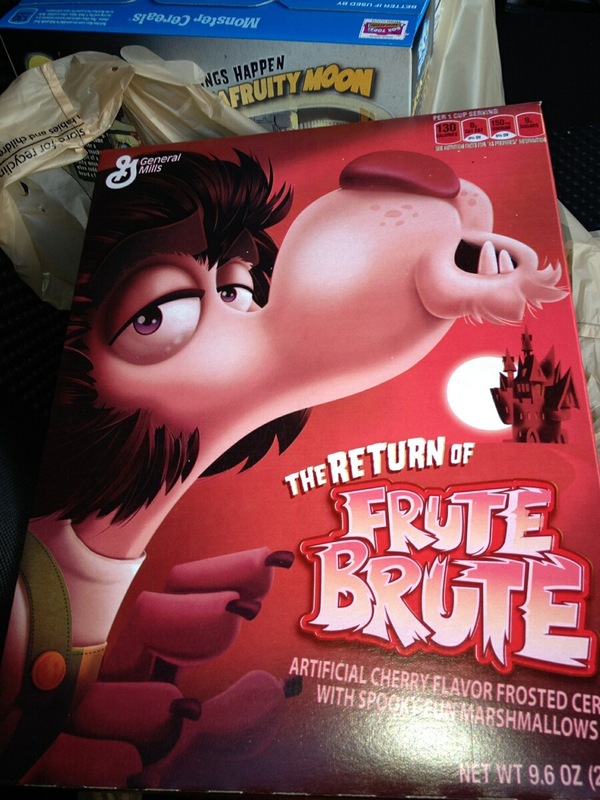 I was so excited when General Mills brought them back although Count Chocula still is my personal favorite. 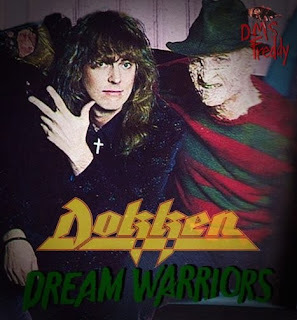 I stumbled upon some rare footage of Freddy Krueger and one of my favorite classic rock bands Dokken on the set of the filming for the video Dream Warriors. Dokken was chosen to do the soundtrack for arguably the best film in the Nightmare on Elm Street franchise. It happens to be my personal favorite.